In 1987, the Rotary Club of Arlington (then the North Snohomish County Rotary) pledged $10,000 towards the construction of the Arlington Boys and Girls Club. 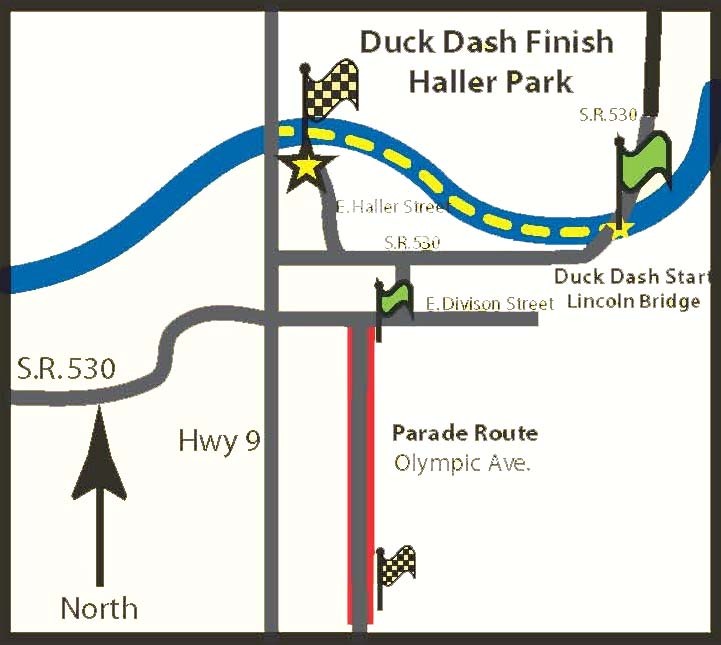 A new fundraiser was needed, and so the Great Stilly Duck Dash was born. Since then, the Rotary Club of Arlington has raised over $3 million dollars through Duck Dash ticket sales to benefit our communities. Donating the proceeds from the Duck Dash has been the best part of the event and the community always wins! The Rotary Club of Arlington supports projects that enhance life for kids, seniors and the communities of Arlington, Lakewood and Darrington. 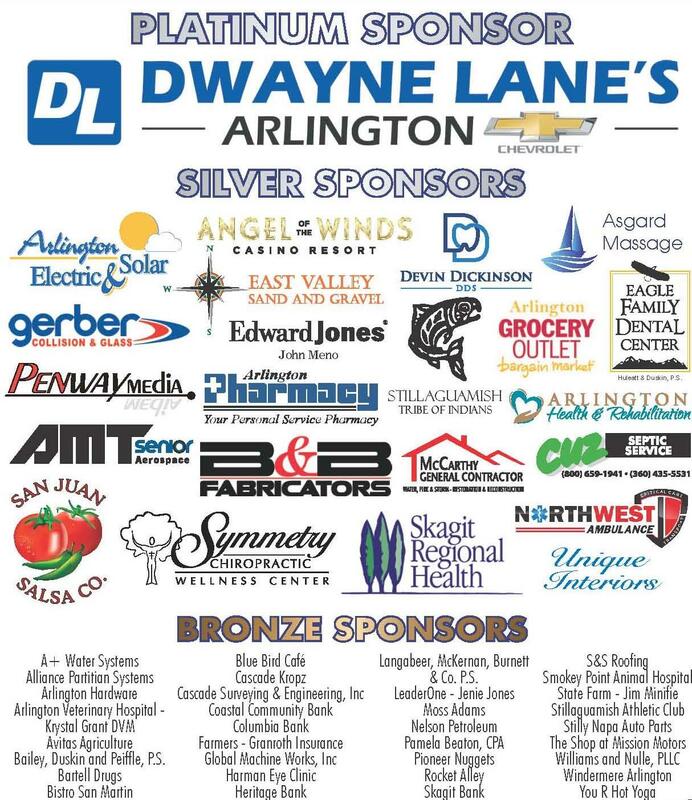 The proceeds of each Duck Dash ticket goes directly back to our community! Ducks are dumped at 7:30 p.m.
Watch the yellow rubber ducks race down the Stillaguamish River while listening to live music in a family-friendly setting!